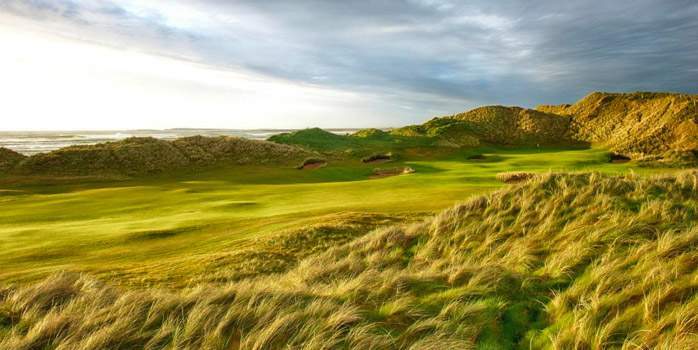 Anyone who has been to these lands, who has felt the impressive power of the Atlantic Ocean forcing its way along the rugged Clare coastline knows why this land at Doonbeg is so unique for golf holidays in Ireland. 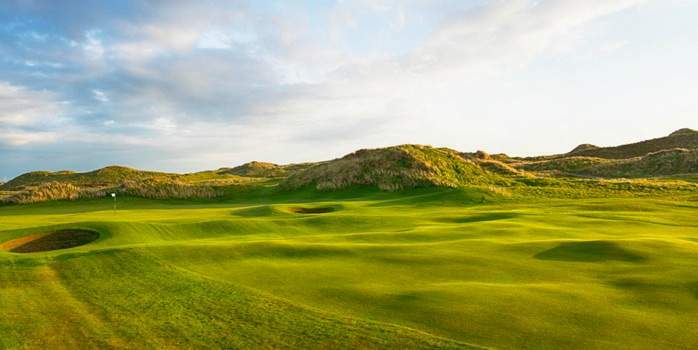 Spanning 1.5 miles of crescent shaped beach and sand dunes, the Dr Martin Hawtree newly re-designed course at Trump International Golf Links Ireland is a stunning sight to behold and offers views of the Atlantic from 16 of 18 holes. The average time taken for a round of golf is four hours and thirty minutes. 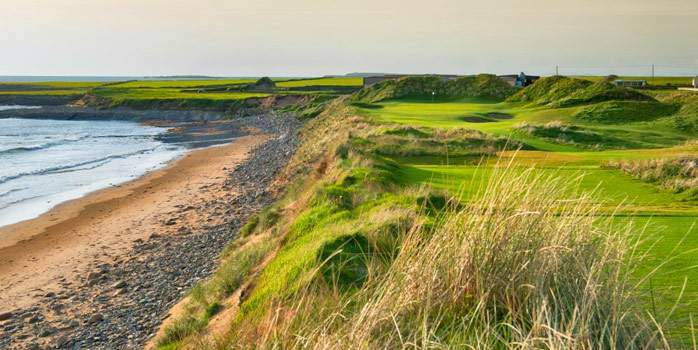 The par-72 layout features a single loop of nine holes out and nine back, playing 7,026 yards from the back tees. 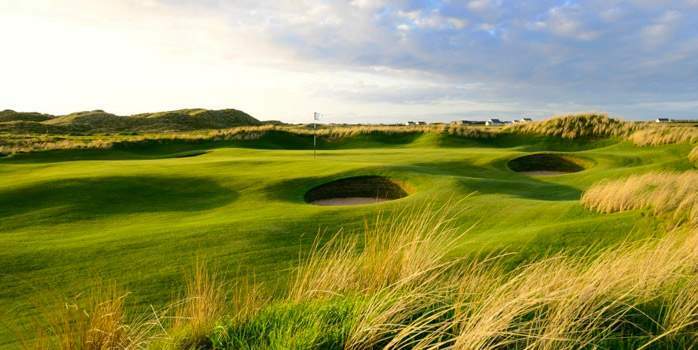 In line with Norman’s philosophy of ‘least disturbance’, the most natural route was taken in laying the course out through the sand dunes. 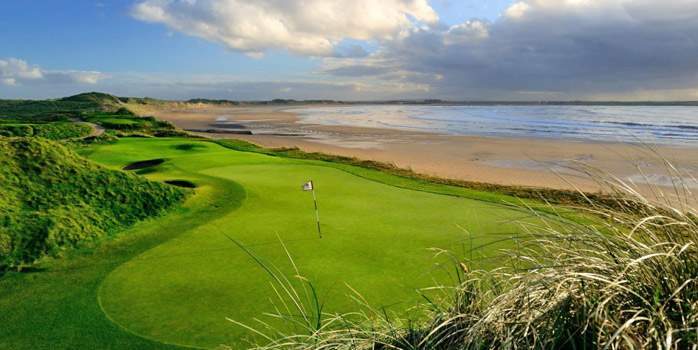 As a result, the course has a unique combination of five par 3s and five par 5s.